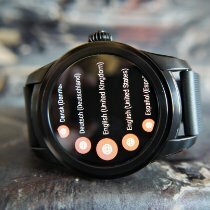 What Smartwatches are Out There? How Much Does a Smartwatch Cost? Smartwatches' numerous functions make day-to-day life easier. From an activity tracker to a pulse monitor, these watches have the perfect app for almost every purpose. Read on to find out what you should consider when purchasing a smartwatch. What Should You Consider When Buying a Smartwatch? There are now countless manufacturers who offer smartwatches. Electronic companies Apple, Samsung, and Sony are the major players. The Apple Watch and the Samsung Gear are two of the most beloved smartwatches. However, even Swiss luxury watch manufacturers such as TAG Heuer, Alpina, and Frédérique Constant offer smartwatches with countless functions. Alpina and Frédérique Constant both call their models the Horological Smartwatch. These smartwatches are unique in that you can barely tell them apart from a regular mechanical watch. However, inside the Horological Smartwatches you'll find the most modern quartz and computer technology. The watches connect to your smartphone and can be used as activity trackers. Both the Alpina and Frédérique Constant models even record information on your sleep, such as when it was deep or fitful. TAG Heuer's Connected is the first smartwatch to come from this Swiss luxury manufacturer. Unlike the Horological Smartwatches, the Connected has a digital display, meaning you can change the display to your liking. TAG Heuer offers a selection of "watchfaces" to choose from. Many are based on the Carrera collection, but you can also choose a chronograph or simple three-hand look. The operating system is Android Wear and you can download thousands of apps from the Google Play Store. The possibilities for your TAG Heuer Connected smartwatch are endless. 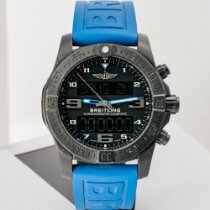 Breitling also has a smartwatch on offer, the Exospace B55. The smartwatch has a SuperQuartz caliber, an incredibly precise, COSC-certified chronometer. The Exospace B55's functions make it a perfect timepiece for pilots. Thanks to its Bluetooth functionality, you can transfer time measurements from the watch to your smartphone. The smartwatch features a timer, an alarm, and a perpetual calendar, as well as a chronograph function allowing you to time to 1/100th of a second. Thanks to the titanium case, the watch is particularly lightweight and robust. With a diameter of 46 mm, the Exospace B55 follows the trend of larger watches. An inexpensive entry into the world of high-quality smartwatches is the Apple Watch Sport. It has either a 38-mm or 42-mm aluminum case. Both sizes are unisex. The smaller version costs around 300 euros, while the larger is only a bit more expensive. The Apple Watch is available with a stainless steel, ceramic, or gold case. These versions are more expensive than the aluminum version. The stainless steel version is only a few hundred euros more expensive, while the gold version is thousands of euros more expensive. The Horological Smartwatches from Alpina and Frédérique Constant are also quite affordable. You can purchase a new smartwatch from these manufacturers for around 700 euros. Since these haven't been available for very long, there are few pre-owned watches. 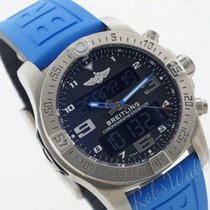 The price rises to around 900 euros when the watch is paired with a stainless steel strap. The gold-plated models have a classic, refined look and cost around 1,200 euros. The smartwatches from Frédérique Constant have a diameter of around 42 mm, giving them a moderate size. Women's watches are significantly smaller with a diameter of only 34 mm. The design of this watch is rather classic, making it perfect to wear with a suit. Alpina's Horological Smartwatch has an analog display as well, but is rather sporty in its look. The ladies' models are 39 mm in diameter, while the men's are 44 mm. The models with a 60-minute scale on the bezel have an even sportier feel. A rubber strap keeps the timepiece on your wrist. Since the watches are waterproof to 100 m (10 bar), you can go swimming in the sea with them. Even the more elegant versions with a polished bezel are waterproof to 100 m.
The TAG Heuer Connected costs around 1,300 euros new. It has a diameter of 46 mm, making it one of the larger smartwatches available. You have the choice between many different colors for the rubber strap: black, white, green, yellow, orange, or red. If you don't find a rubber strap appealing, you also have the option of a leather one. The Connected is especially lightweight and robust thanks to its titanium case. Without the strap, it only weighs 52 g. You can get a version of the Connected with a matching titanium bracelet for around 1,600 euros. If you prefer an 18-karat rose gold case, then be prepared to spend around 9,300 euros. The rose gold models come paired with a brown calfskin strap. The case of the Breitling Exospace B55 is also made of titanium, although black-coated models are also available. The case diameter is the same as the TAG Heuer Connected at 46 mm. Without a strap, the Exospace only weighs 80 g, making it comparatively lightweight. The band is made of either rubber or titanium. The Exospace B55 costs around 5,000 euros new with a rubber strap and 5,500 euros new with a titanium bracelet. Models with a black-coated titanium case also fall in this price range. Currently, these watches are only available with a rubber strap. Smartwatches display a range of information on their dials. You can, for example, see incoming messages, emails, or phone calls on your smartwatch without having to get your phone out of your pocket. Most models vibrate softly to alert you of new messages or incoming calls. Many smartwatches also support apps so you can add additional functions. Smartwatches are great activity trackers; some even have GPS so you can locate your position or an altimeter and blood pressure monitor. Of course, a smartwatch also displays the time. Most models also have a chronograph and alarm function. A smartwatch is an electronic wristwatch with computer functions and connectivity. You can connect your smartwatch to your PC or smartphone in order to transfer data between the devices. Usually, the smartwatches rely on Bluetooth technology to connect to a phone or computer. The opportunities to expand the functionality of your smartwatch are almost endless. The two main operating systems used, Android Wear and watchOS, both have countless apps which you can easily download onto your smartwatch. Read on to find out which apps are the most practical. Runtastic is one of the most popular running and fitness apps. The app tracks your runs and provides information about your run time and tempo. The popular messaging app WhatsApp is also available on your smartwatch. The functionality is somewhat restricted, but you can still read and send messages. Facebook and Twitter also have apps available for smartwatches. Evernote is one of the most popular notepad apps for smartphones and tablets. The version for smartphones has a search function, position tracker, and can be synchronized with your phone. That song that's playing on the radio, what's it called? You can use the Shazam app to identify the name and artist of any song currently playing. 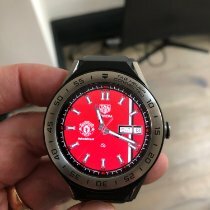 The app displays the result on your smartwatch. Do you want to take a picture of yourself at a landmark spot, but there's no one around to take it? No problem. With the Wear Camera Remote app, you can control your smartphone's camera on your wrist. The Apple Watch offers Camera Plus, which has similar functions; you can, for example, view previews of the photos you've taken on your watch.